This plan was created to showcase a larger focus photo. Normally I like to include a lot of photos on a page, but sometimes I’ll order a 5×7 copy of a photo I really like, and the semi-annual portraits I have taken of my boys also include some 5 x 7 prints. This is a very simple plan – simply mount the photo, a block of patterned (or contrasting solid) paper onto an 11.5 inch square background paper, add three embellishments and a spot for journaling. Consider finishing the edges with stitching or distressing with ink to make each piece stand out from the background. 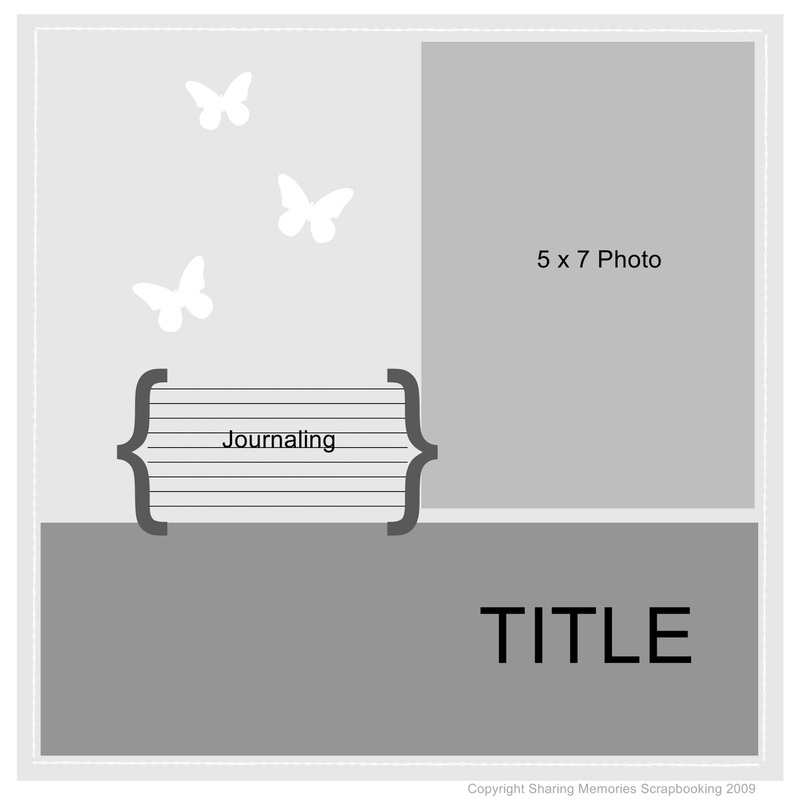 The plan shows rectangular and square shapes, but you could make it much softer looking by rounding the corners of the photo, title block and background paper. You could also flip or rotate it – it’s very versatile!